I'm LGBT+ can you help? 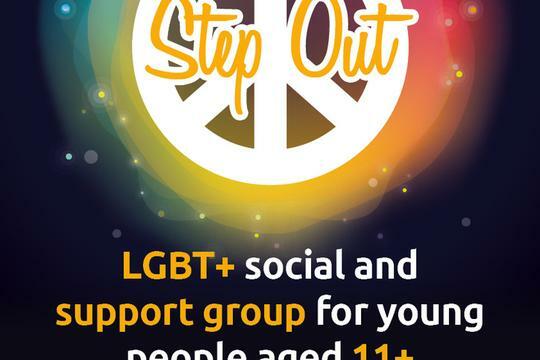 We offer a support group for LGBT+ young people aged 11+, who want to socialise with other young people experiencing similar things to them. This is a weekly session on a Tuesday 4.30-6pm. For confidentiality and safety reason please contact us to arrange a first meeting with a member of the group staff who can have a chat about it with you and give you more information. The group is run in partnership with the Warren and we have an experienced counsellor you can access through the group as a member of the team. Trans Youth Hull runs the first Sunday of every month in a city centre venue by Helen and Felix Fenlon who are able to offer support dedicated to trans*, gender and identity questioning young people. They are always happy to talk to parents and young people to help understand the process of transitioning. LGBT+ support group run by the Warren for 16-25 year olds, for more information check them out here. A group which represents the Lesbian, Gay, Bi-sexual & Trans (LGBT+) community within the area of Hull & East Riding of Yorkshire. They actively deal with many community issues such as hate crime reporting, sexual health, Pride, LGBT history month, museums consultation, community cohesion, faith matters and in many other areas that affect everyday life. Representatives of the key agencies (e.g. Council, Police, Fire, NHS, Victim Support) regularly attend their meetings as well as community members themselves. Please feel free to attend their regular meetings, 2nd Wednesday of the month 6.30pm in The Guildhall, Hull. Find out more here.